What is better? Getting a new look or learning to get a new look? 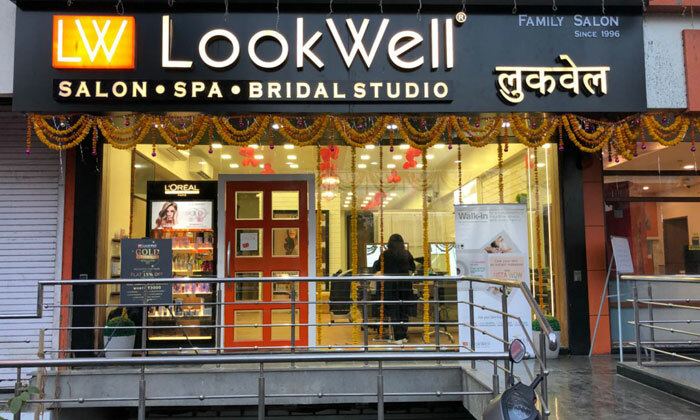 Located across Mumbai, LookWell Salon, Spa & Academy offers their customers a variety of salon services which includes hair care, skin care, head to toe packages & more for both men & women. If it’s your big day, leave all of your worries and concerns into their hands and they will take of it. The professional staff operates in a very hygienic environment and make sure that the customers get the look that they desire of. So head to LookWell Salon, Spa & Academy to get the best of treatments or a complete makeover at this upscale beauty centre!